Streaming television has brought us a lot of good things, like the ability to watch episodes whenever we want and a lack of (or at least less) commercials. But one thing that is a bit unfortunate is that, because shows are no longer bound to network schedules, there are less of the classic holiday specials we used to get every year for sitcoms. Sure, there are occasional treats like the Bojack Horseman Halloween episode, but I still really miss the episodes where everything feels just a little more festive coming every year, when you just felt a little more festive. 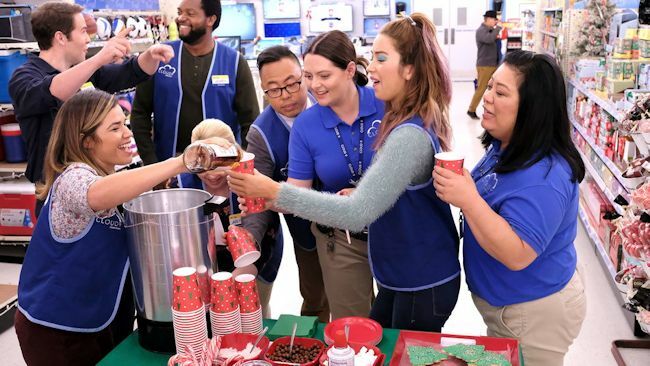 Thankfully, some sitcoms still put together great holiday episodes, and this year's Superstore Christmas episode "Christmas Eve" is no exception. Superstore is having a great season, filled with its characters going through dark times and truly finding out who it is they want to be. "Christmas Eve" continues that trend as Amy attempts to send off a tough year by challenging her wild past (when she was known as "Crazy Amy", or "Cra-my.") Things especially spiral out of control when Amy finds out her ex-husband Adam has already moved on with someone else. As you might imagine in a sitcom holiday episode, the entire gang comes together for Amy, and the episode ends in a truly heartwarming way - the way a sitcom Christmas episode should. "Christmas Eve" made me yearn for the days when network TV Christmas specials were a regular occurrence. Sure, they were a little cheesier than most episodes, and maybe not always as funny, but there was something special about seeing your favorite characters get a little festive, and even the most cynical sitcoms seemed just a little bit sweeter in their Christmas episodes. Sure, streaming is great, but I'd like to see some more cable and streaming shows drop holiday specials on us a little more often than they do. Until then, we'll hopefully still have great Christmas episodes like "Christmas Eve" to bring us some holiday cheer. This is it! One Day at a Time returns with its much-anticipated second season Friday, January 26, exclusively on Netflix! 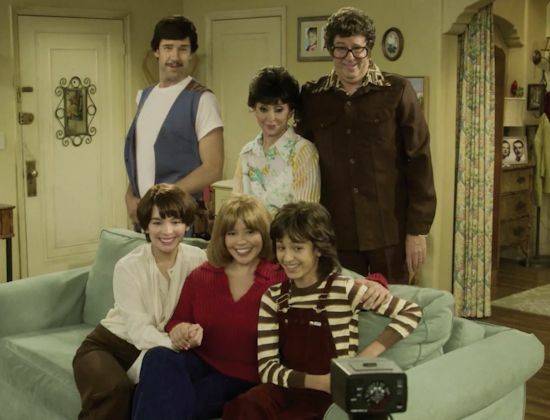 Watch Justina Machado, Rita Moreno and the rest of the One Day family announce the Season 2 premiere date and pay hilarious homage to the original series with a frame-for-frame recreation the opening credits HERE. Afterward, enjoy the original One Day at a Time title sequence HERE and marvel at just how exact this reenactment really is. A reimagining of the iconic Norman Lear's classic sitcom, One Day at a Time is an hilarious and heartfelt comedy that follows three generations of a Cuban-American family navigating the ups and downs of life. A newly-single mom and military veteran journeys through the triumphs and tribulations that come with raising two strong-willed, mega-millennial children, all the while enlisting the "help" of her old-school mother and her building manager-turned-invaluable confidant. Through an contemporary lens, One Day at a Time offers a glimpse at what life looks like, in good times and bad -- and how those around you somehow make it all worthwhile. One Day at a Time stars Justina Machado, Rita Moreno, Stephen Tobolowsky, Todd Grinnell, Isabella Gomez and Marcel Ruiz. Norman Lear executive produces, with Gloria Calderon Kellett and Mike Royce executive producing and co-showrunning. Michael Garcia and Brent Miller also executive produce. One Day at a Time is produced by Sony Television Productions for Netflix.